Why should I be recycling asphalt? Rather than just being able to give the smoothest and quiet ride, it’s as well the right alternative for paving. There have really been concerted efforts in getting products which are environmentally friendly, and normally this includes old asphalt pavements retrieving, and also revitalizing of the parts to be utilized in new pavements. Some measures as far as asphalt recycling are concerned include the use of recycled materials and technologies that actually save energy. In its in 1993 congress report, the Environmental Protection Agency (EPA), and (FHA) Federal Highway Administration declared that asphalt pavement was recycled product that’s number 1 in America. Now, asphalt pavements incorporate a variety of waste materials, and of course, these include ground tire rubber, glass, foundry sand, slag and pig manure. 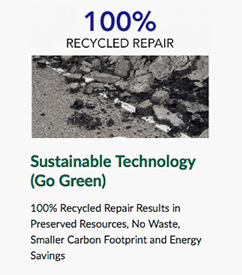 These are normally used in Reclaimed Asphalt Pavement (RAP) manufacture as well as Recycled Asphalt Shingles (RAS). When asphalt pavements are actually made by using recycled materials, then thousands of cubic meters of space are really saved annually. NAPA, in together with Federal Highway Authority (FHWA) has put these parts into figures by using sector surveys. The recent survey information declare that during 2011 construction season, 1.2 million tons of this Reclaimed Asphalt Shingles as well as 66.7 tons of this Reclaimed Asphalt Pavement were used in new pavements in United State. This saved the taxpayer more than $2.2 billion. One encouraging thing regarding the study is that about 19% of asphalt which was produced in the United State in the 2011 season by making use of warm-mix asphalt (WMA) technologies. When RAS and RAP are processed into new pavement mixtures making, it activates the asphalt binder liquid that is seen in the recycled materials. This in turn decrease the virgin asphalt binders requirement. 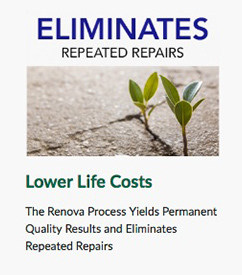 When reclaimed materials are also used, need for aggregate resources is usually reduced. Through this WMA technologies, it’s possible to create asphalt at temperatures which are lower. This will translate into reduced need for energy, and also reduce emission particularly at the time of paving and production. Depending on the previous researches done by FHWA/NAPA in the year 2009 and also 2010, there’s evidence of more use of sustainable materials as well. The 66.7 million tons of Reclaimed Asphalt Pavement used in 2011 represents an increase of 7 percent from the year 2010, and also 19 % when than 2009. Over 99 percent of asphalt pavement which was even reclaimed from the roads discovered in pavements, instead of having it dumped in landfills. 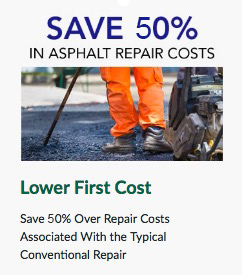 In the survey also is the fact that more than 98% of asphalt producers declared that they had used Reclaimed Asphalt Pavement in new construction mixes, pavement preservation and rehabilitation. On the part of Reclaimed Asphalt Pavement, its usage continued to increase, getting to 1.2 million tons in 2011, which represent an 8% increase from the past year. This was a 52.5 percent rise from 2009. The RAS usage has was reported in more than 36 states since the year 2009. RAS consist of both scrap shingles and post-consumer roofing shingles. In a bid to speed technologies deployment to improve the highway project’s quality, FHWA really made WMA asphalt as an aspect of its Daily Counts plan.